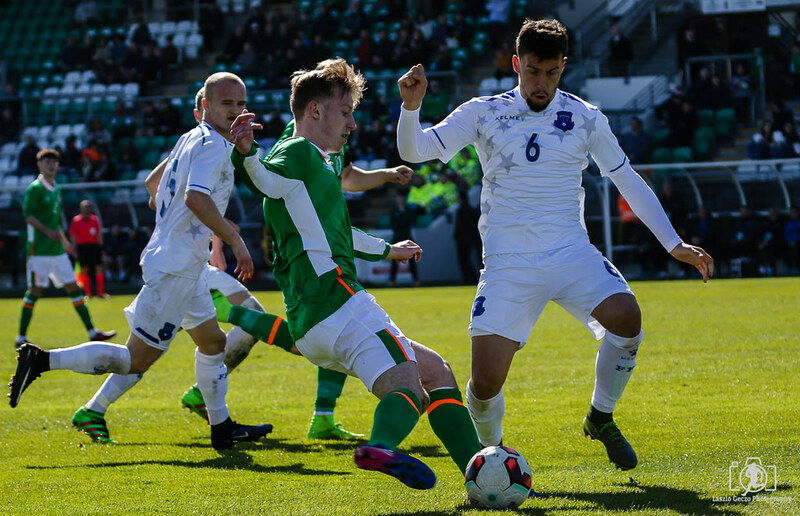 The game has ended between Republic of Ireland U21 and Kosovo U21. Ireland kick off their campaign with 3 points. It wasn't the most entertaining of games but it's 3 points nonetheless. I hope you will stick around for the rest of the day as we have a full schedule of live action and coming up next is the top of the table clash between Cork City and Dundalk, kicking off at 3pm. There will be 3 additional minutes. 5 to go here and I think Noel King would gladly take a 1-0 win now as Kosovo search for an equaliser. Ireland very lucky not to concede. Mendurim Hoti again the danger man and his effort hits the post and bounces on the line before being scrambled away. A let off for the boys in green! Ireland will need a second here to make things comfortable for the last 10 minutes. They've had a couple of half chances here but nothing concrete. A dangerous effort from Kosovo and Kieran O'Hara has to make a great save, his biggest test of the game so far. A strong run from Dimaio through the middle, he finds Ronan Curtis with a simple pass but he blazes wide. 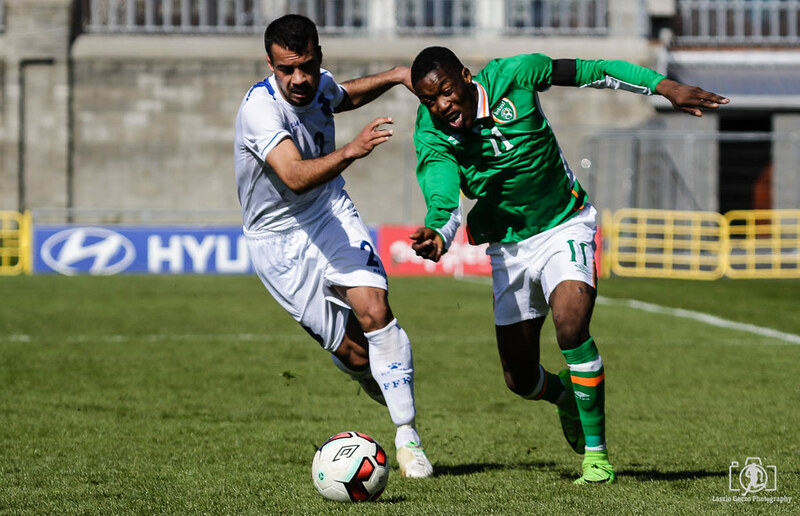 Instant impact from substitiute Grego-Cox as he brings the best out of the Kosvo keeper Beka and its a corner for Ireland. Reece Grego-Cox replaces the ineffective Ryan Manning. 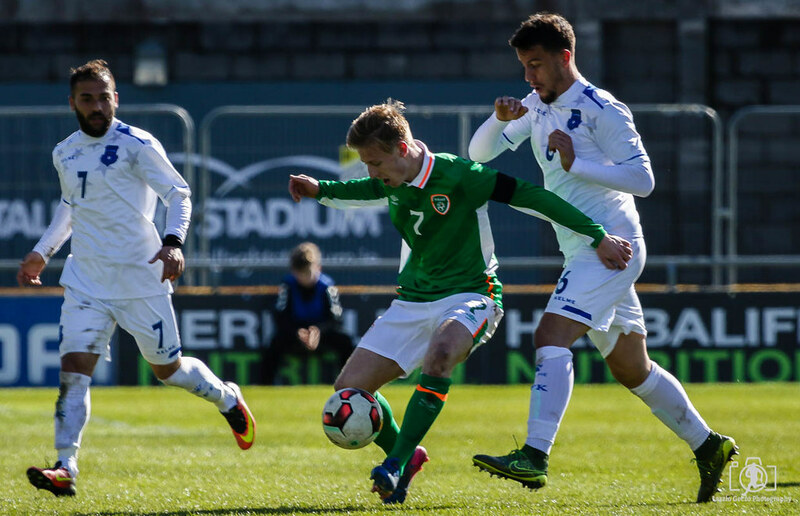 Conor Dimaio is booked for Republic of Ireland U21. A nasty challenge from the midfielder and he is the first player into the book. Let off for Ireland. Kosvo respond instantly, Mendurim Hoti strikes a great effort that beats O'Hara and luckily hits the post. 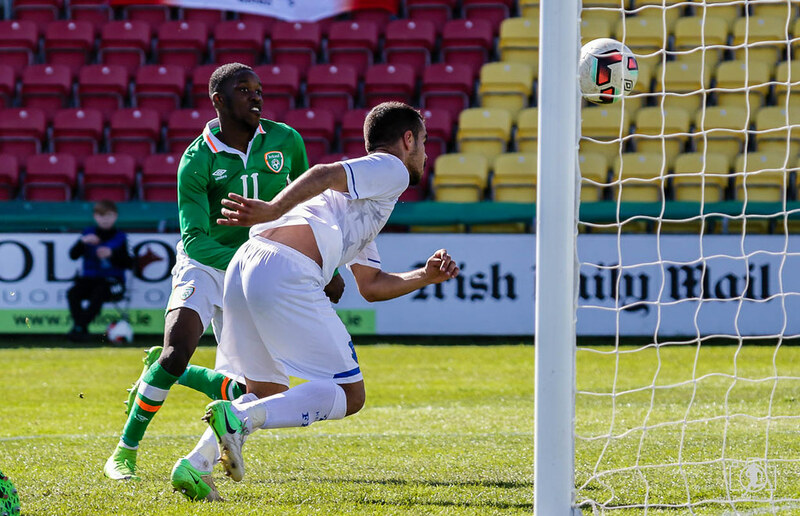 Olamide Shodipo scores for Republic of Ireland U21. Finally we have a breakthrough!! Some ping pong in the box involving Harry Charsley, the Kosovo keeper Visar Beka and Shodipo results in the Irish winger finally bundling the ball over the line. O'Hara spills a long rang effort from Kosovo but luckily Shaun Donnellan sweeps up. Corner to Kosovo, Menddurim Hoti takes it and the captain Ron Broja heads a couple of feet over O'Hara's crossbar. 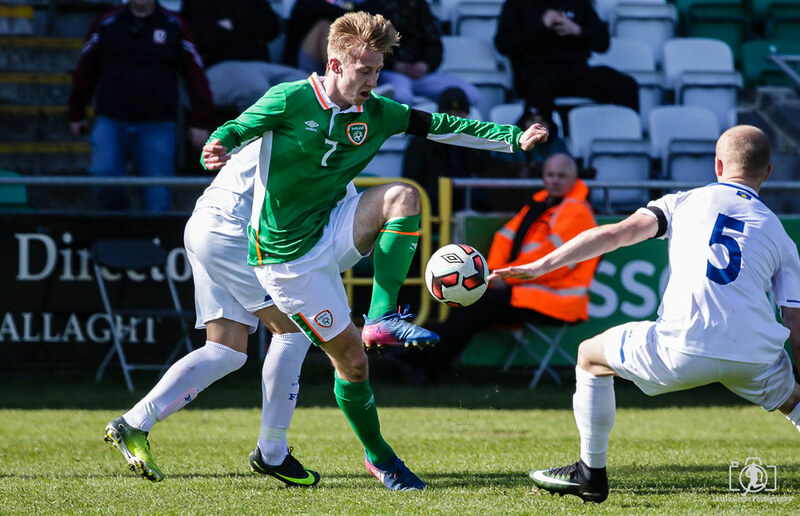 The second half between Republic of Ireland U21 and Kosovo U21 has started. Half time at Tallaght and it's been disappointing so far. Ireland by far the better side but they have been unable to find the breakthrough. Long range effort from Connor Dimaio and he is inches away from finding the net.Decent effort from the midfielder. 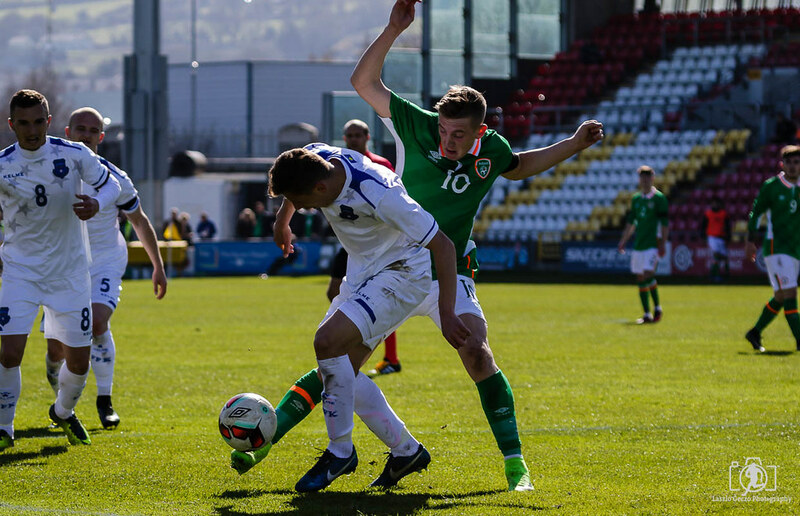 Ronan Curtis chases and looks to have won a long ball but is harshly penalised and it's a freekick to Kosovo. Great feet from Olamide Shodipo on the left results in a corner for Ireland. The resultant inswinger is the closest Ireland come from a set piece but the effort from Curtis is marginally over. A free kick on the left from Josh Cullen is again easily cleared by the Kosovo defence. Neither keeper has been tested yet. 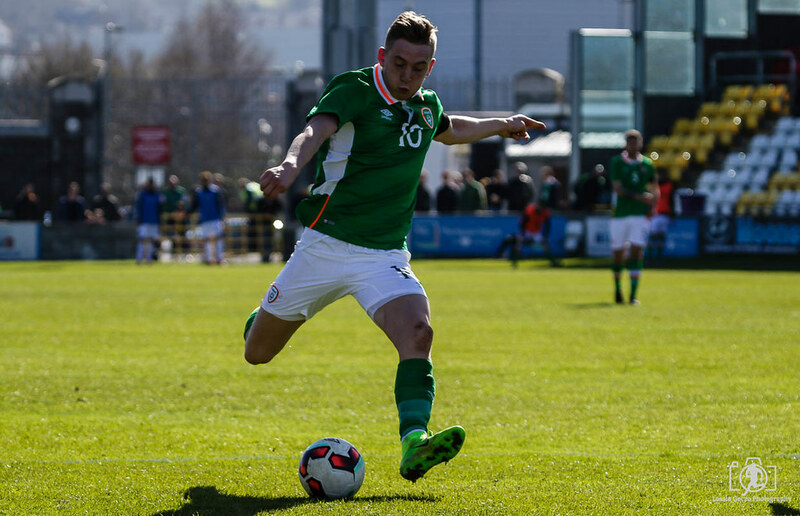 Captain and current Bradford City loanee Josh Cullen is putting in a solid shift at the heart of the Irish midfield. The home side come close again. 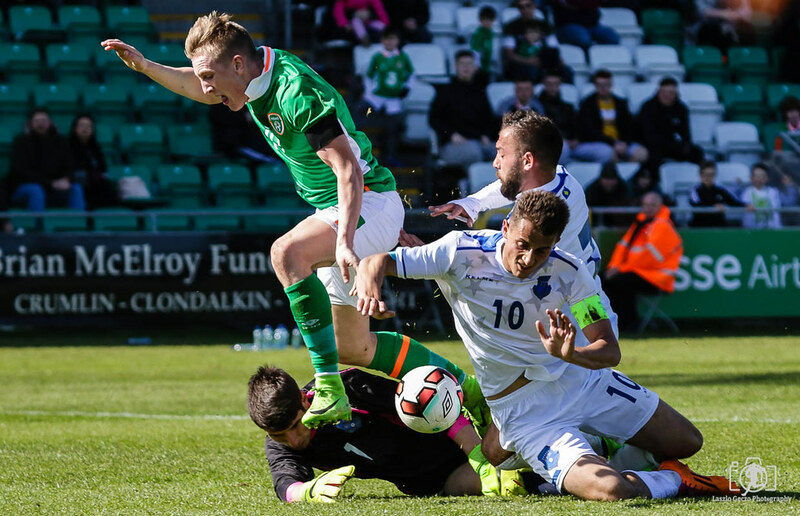 Ronan Curtis can't find his way past Visar Beka in goals and on his second attempt ends up fouling the Kosovo keeper. Better from Ireland. Chance! Good work from Connor Dimaio and Harry Charsley see's an effort fly just over the Kosovo crossbar. We're midway through the first half here and despite the perfect conditions and the efforts of the small "singing section" it's all a bit flat here at Tallaght Stadium. 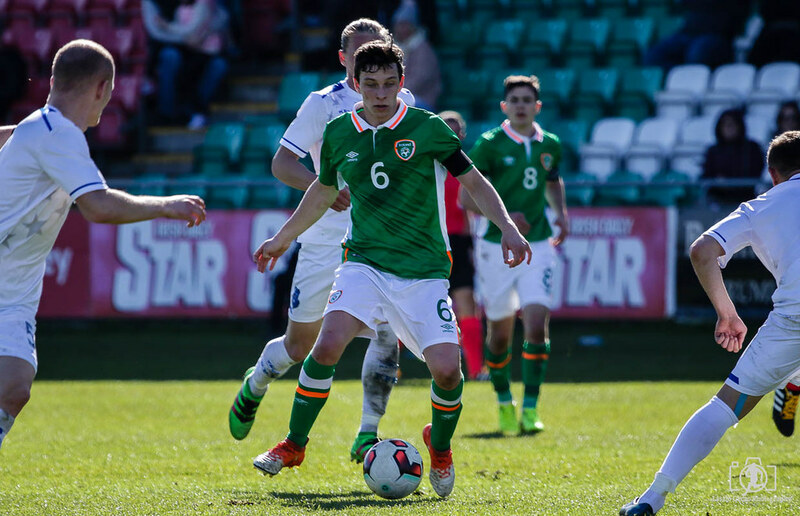 Ireland need a goal to get their campaign off to a positive start. Corner for Ireland. QPR man Ryan Manning takes it but this also dealt with by the Kosovo defence. Some great footwork from Olamide Shodipo on the left wing see's him swing in a dangerous cross but Arian Kabashi is on hand to head clear for the away side. First bit of pressure from Kosovo as Florent Hasani swings in a freekick that Kieran O'Hara has to punch clear. Kosovo struggling to get out of their own half as Ireland string some nice passing moves together. Ryan Sweeny is inches away from finding Harry Charsley on the right wing with a superb long range ball from defence. Ryan Sweeney is inches away from finding Harry Charsley on the right wing with a superb long range ball from defence. It's Ireland who are creating the early pressure and they are enjoying the majority of the posession in the early stages. 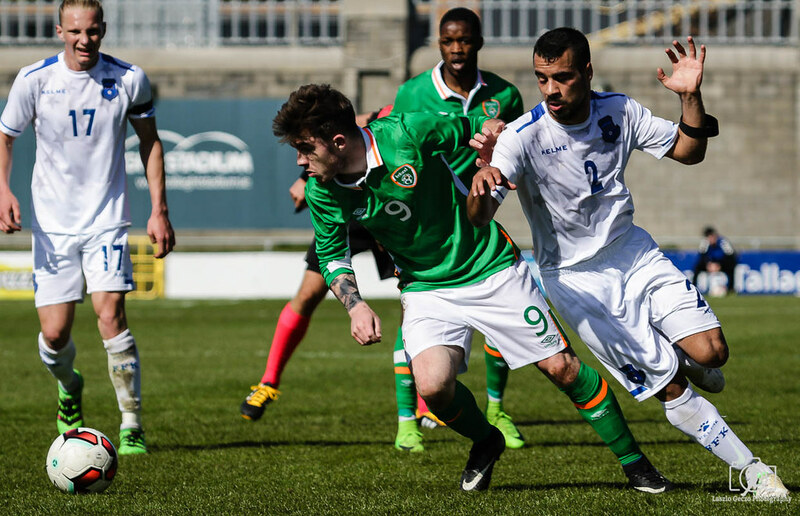 The game between Republic of Ireland U21 and Kosovo U21 has kicked off. Hello and welcome to Tallaght Stadium on a beautiful sunny afternoon. It's the first game of the UEFA U-21 qualifying campaign. My name is Paul Dilleen and I will be keeping you updated on this afternoons action.